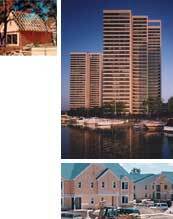 Silverman Construction's history in the construction business gives them unrivaled expertise in building. Over the years, they've forged strong relationships with the best local trades and contractors in the area, enabling them to assemble the most talented crew for every project. Each job is monitored by a technically-trained, on-site management team to assure that every project is completed with the highest quality and within the budget. There's a reason why they were named “Michigan’s number-one Builder.” Their production efficiency enables Silverman Construction to deliver a high level of quality and exceptional value in every project that's built.